The true value of data is only realised when it’s lost. Research statistics show that tape backup drives only have a 60% recovery success rate. Data stored on legacy tape-based backup systems or data-stick backup leave massive holes in security, with the company’s most critical asset vulnerable to loss, corruption and exposure every day. To assist with this Redbrick Practice Management has a backup facility built into it. Data is stored in a Microsoft SQL server database which often resides on your office server. We can set this data backup to any convenient location of your choosing (not on the same hard disk!). For peace of mind should a fire, flood or theft occur at your premises we always recommend for business continuity purposes that you also make an offsite data backup. Our online data backup solution allows users to automatically backup a computer’s important files, folders and databases without the hassle of handling tapes or unreliable USB drives and CDs. Through an intuitive piece of software that sits on your host machine you just select what you would like to backup and it will do the rest for you. 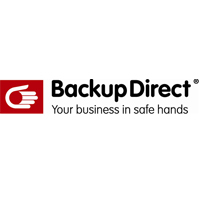 Whether you are working from a home PC or an office server, online data backup ensures an automatic backup of your critical data is taken every day and safely secured offsite in two world class data centres. You can leave the stress of backup behind and know your data is safe – whatever happens! Secure and convenient online data backup is available for a small monthly charge, please contact us for further information. *Please note it is the responsibility of the law firm to ensure they have adequate data backups in place.